From January 15, 2014, Jet Airways is adding two new daily flights to Dammam, Saudi Arabia. 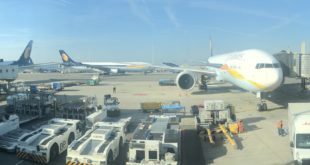 A non-stop from Kochi, and from Chennai with a stop in Abu Dhabi. 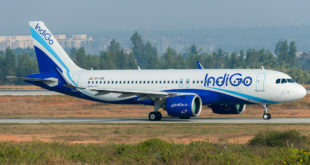 Jet is also re-timing its existing Kochi Abu Dhabi Kuwait flight to offer passengers an evening connection to Dammam on the Chennai Abu Dhabi Dammam flight. All flights will be operated by Boeing 737-800s in a two class configuration either 16 seats in business and 138 in economy or 8 seats in business and 162 in economy. 9W 570 will depart Kochi at 06:20 arrive Dammam at 09:20. 9W 569 will depart Dammam at 10:20 arrive Kochi at 17:20. 9W 526 will depart Chennai at 20:15 arrive Abu Dhabi at 23:25. Depart Abu Dhabi 01:45 the next morning arrive Dammam at 02:10. 9W 525 will depart Dammam at 06:50 arrive Abu Dhabi at 09:15. Depart at Abu Dhabi at 10:45 arrive Chennai 16:15. 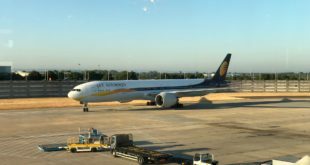 Using Abu Dhabi as a scissor hub, Jet Airways is rescheduling 9W 576, its evening Kochi Kuwait City flight via Abu Dhabi, to synchronise with the Chennai Abu Dhabi Dammam flight. 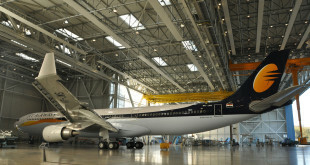 This should give Chennai passengers a connection to Kuwait City should Jet Airways so choose and Kochi passengers connection to Dammam. 9W 576 will depart Kochi at 20:40 arrive Abu Dhabi at 23:30. Depart Abu Dhabi at 01:45 the next morning arriving Kuwait City at 02:55.